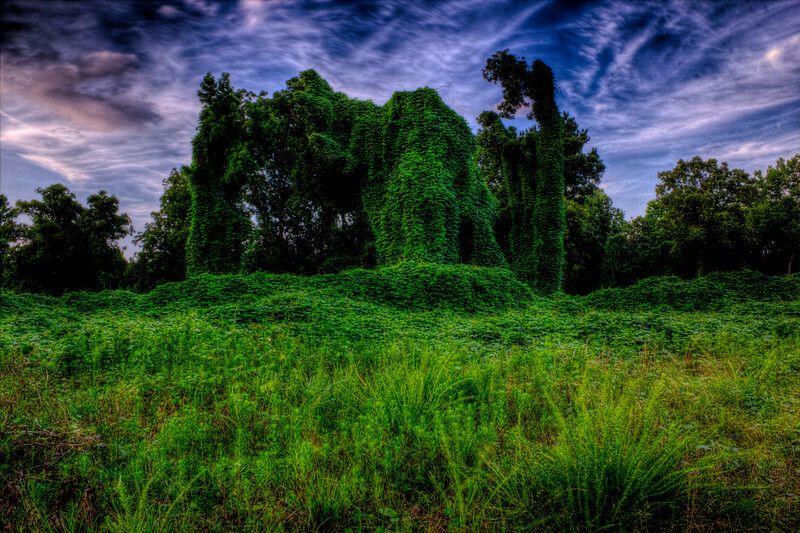 Kudzu (Japanese Arrowroot) Elephant. Unknown to landowners the plant is edible and has medicinal uses, Animal feed, Basketry. This was taken as the sunset behind me. Used Promote Control set at .3 and 17 shots so +/- 3AV post processed with Photomatix tonemapping. The cool thing about this session, I was on a country back road and a truck driver stopped and said he has been driving by this site for years and never had time to stop for a photo and asked if I could send him a copy and of course a signed canvas print was sent .